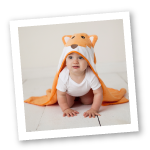 Hudson Baby infant clothes are an attractive and stylish way to dress your precious little one. These little pants are made of 100% super soft cotton that will be so comfortable for your little one! 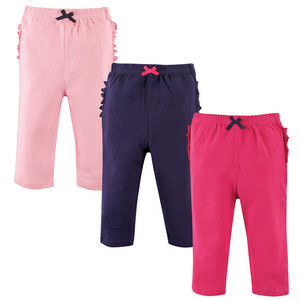 All pants in this 3 pack have ruffle bottoms to give a little flare to your baby girl's outfit. With a variety of colors and affordable pricing, these pants are perfect to mix and match with any top, dress or bodysuit! Perfect for a day out or just everyday play, these pants are very durable and machine washable.